Church for the over 35. Church leaders have spent a decade wondering why the Seeker-Relevant-Saddleback-Mega-church model that works so well for upwardly mobile people 35 and older, is not working for people under 30. I believe the answer is deceptively simple: The world changed. Ask yourself, “What world-shaking event occurred when today’s 25 year olds were early teenagers?” The answer: 9/11. 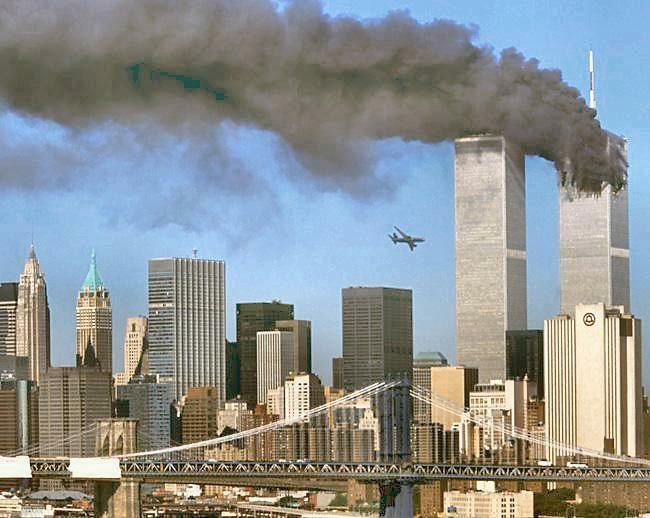 On 9/11 our fundamental understanding of what life was like changed. Forever. Put yourself in the mind of an over 35 year-old: In the formative years of those over 35 the world was a pretty nice place. A safe place. We knew that if we worked hard and got an education we would have a good job, make money in the market, move up the social and economic ladder, and retire comfortably on our 401k, the appreciation of our homes and Social Security. We were confident. Our viewpoint: The world was our friend. Take a 25 year old today: In their formative years the world was not a very nice place. They do not remember an America that was not at war. People they have never met want to bomb their buildings and crash their airplanes. If they work hard and get a good education, they may work at Starbucks and will spend 20 years paying off student loans. The market is a risk and home ownership might be a loser. How can they risk being tied to a home with fluctuating value when they will have to change careers and locales multiple times? There will not be a pension. Their 401k is a crap-shoot. Social Security will be bankrupt. Will they ever retire? Their viewpoint: The world is not their friend. How can the church engage the post-modern 25 year old? Certainly it isn’t easy. This generation is conflicted. On one hand they distrust large events. On the other, they flock to things with momentum. The good news is that today’s millennials seek the things from the church that the church did well for most of her 2000 years: community, a chance to make a difference in the world, and, most importantly, offer a transforming connection with the creator and redeemer of the universe. Unfortunately, we lost these as they eroded invisibly out from under the evangelical suburban cultural veneer. It is not too late. But it will take a new kind of church that is much less like the one we know and much more like the one the early fathers knew. The big question is not whether the millennials will engage, but will the previous generations, builders of a church that fit a set of cultural expectations that are rapidly fading away, listen and respond by opening leadership opportunities to the next generation? Will the church develop new leaders, give legitimate responsibility to the next generation, and take new chances on historic ways of being the church? « USA Today: More Confirmation That 20-Somethings Are Bailing On the Church. Very fascinating. I think 9/11 was important (I was in Yonkers, NY at the time, so I remember the F-16s overhead and new of people in the Twin Towers and people who ministered at ground zero), but I also think the economic realities are important. Things simply do not look stable to many. I’m on the cusp of the cut-off you highlight. I’m over 35, but not by much, so this post has me thinking. Thank you! Btw, my dad is from Ossining so the ground you describe is familiar. I think you will find the followup on PhoenixOne interesting. That is a church? (photo). Could have fooled me. It looks JUST LIKE the world. The church should, in my opinion, look other-world-ly, and sound other-world-ly, and be other-world-ly. Believe it or not, Steve. What you are saying is what Dan Kimball’s focus groups said as well. I’ll check out PhoenixOne.but I don’t know what it is or where to find it. I don’t see a blog entitled that on the side, here. Perhaps I need to google it. I will post my write up on phoenixOne in the morning. They are mostly Anglo- probably 6% AA which is Phoenix’s average. Our plant, st Jude’s is probably 30% AA though. As someone directly discussed in this article (I am 25 on the nose) I think you have hit very close to the mark. I work for a church and travel to many around the city and sit in on multiple worships from time to time. The place I most identify with is our big, stone, cathedral style church in town. They still run a service in a style of “high church” with some modern pep and a preacher who isn’t afraid to say and try new things. But the comfort of sitting in a building that has been there for 100 years and will long stand after me, surrounded by people and actions that are the same, brings a comfort to a Sunday experience. I have found that I do enjoy that they have a Coffee bar similar to your local coffee shop in one of the wings but it is not the style of the whole church rather a ministry of it. That leads to a point I feel you missed but Is vital to my demographic. We are Tired of the talk without action church, look at charity events, volunteer service groups, and rallies for the underprivileged and you will find a large gathering of 20 somethings. Missions to make the world the a place of safety once again is a driving force and brings them out. You can meet in the Vatican and do nothing for others and never see a young adult but missions draw them in. I think this is a reason the new pope is so popular with the younger generation. In the end I don’t know that there is any perfect salve for the wound that is our churches bleeding members but taking a look at what may help is the first step, and just maybe things will grow again. I wonder if there is a way to blog an ongoing conversation. Sort of a running list of short thoughts on this, since many (like you) are bringing such good stuff to the conversation. David, very well spoken. As for me, I think the distinction is between worship and praise. We need both! I feel, however, the praise has gotten a little out of hand and has become a vehicle for filling the coffers. Your “comfort” comment is on point. Worship gives me comfort. Praise gets me excited. I prefer comfort. We should praise God, but we really need to fall down on our knees and worship him. Once we understand that, everything else will fall in place. Hi David, great comments. Thank you! I love your description of ancient, challenging, relevant, and service oriented. 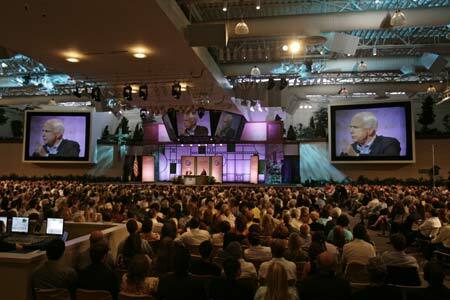 Interesting thing about Dan Kimball’s Vintage Faith church – it is anything but quiet. The last time I was there I had a headache from the loud worship band. It’s pretty much the same contemporary worship model, but geared towards arts, artists, and “authenticity.” “Authentic” seems to mean overhead projector images of old buildings and antique architecture, which anyone can find by Googling the word “grunge” and “PPT images.” And there are worship stations where individuals can do their own thing while the worship service is going on. By the way, this is not a criticism of Vintage Faith, just an observation. Thank you for the description of Vintage Faith! Many evangelicals seem to be wanting to be “vintage”. It comes off as very much a menu of elements to select from rather than a life-shaping coherent whole…which really is more of the market-driven thing, isn’t it? I think that Kimball opened a great conversation. btw, that post is a year old. How did you get a hold of it today? It has like 3k hits today, which is pretty odd for an old post on an undistributed blog. I don’t agree with your article. The way I see it here in the midlands of South Carolina, the younger people (under 40) are the ones flocking to the mega churches, not to the mainstream churches. They like the big screens, the large seating areas, the non-traditional songs and services. The people over 40, nearer to 50, are the ones who are in the traditional churches, i.e. Episcopalian, Methodist, Baptist, Lutheran and Catholic. Hi Valerie. Having spent a fair amount of time in South Carolina, I would say that, in your context, you are right. In much of the rest of the country the mega movement happened a decade-15 yrs earlier. I have a few posts that talk about mega church pastors growing dis-ease at the lack of twenty-somethings in church in the West and Northeast. My guess is that the wheels will come off the movement 10-15 yrs after as well. I am not saying the movement is done (you are in the land of Perry Noble after all). Just that the ship seems I have sailed for the young. I am not sure if we have created preference driven narcissists or just bought into the system, but surely the church is part of the problem. …and I was one of those guys once. Incidentally, I think it’s a stretch to loop the former Crystal Cathedral in with modern mega/big box churches such as Saddleback, Willow Creek, etc. The CC was whole different animal, largely antiquated for years, and it’s demise was for reasons of a completely different nature than the issues discussed here in the article. Thanks for weighing in! I would love to hear how you saw the 9/11 thing play out. This is an incredibly simplistic analysis. Further… as the leader of a 25-person young adult bible study at a Richmond VA “megachurch,” I know that the premise of this article is simply not true. Young Adult ministry has always had a lot of turnover because of the volatility of this stage of life, but the young adults of today are just as spiritually hungry as “past generations”. If you are offering small groups and opportunities for fellowship, service, discipleship, and study of the Word, you will attract people no matter what size your church is. Hello Richmond. Thanks for commenting. Of course it is simplistic analysis- it is a blog post, not a journal article. Interestingly, I have had more than a few churches with attendance over 7000 that have said both in the comments and offline (since they are on church staffs) that the theory is spot on in their context. I am surprise that you don’t seem to have seen the now voluminous data that say the church is struggling with young adults. I am on the board of a ministry that has 1100 young professionals meeting. They would say the issues are profound. I appreciate your comment. I agree that the church is struggling with young adults, but i blame churches rather than the young adult ‘audience’ … Additionally, (in Richmond VA in particular), burgeoning young-adult parachurch ministries are filling the leadership void left by churches that cut funding for YA ministries during the financial crisis. It’s not that there aren’t young adult Christians to minister to, or that they are a new mysterious cultural breed; it’s that church ministries to young adults have been de-prioritized over the last 5 years. IMHO. That all makes sense. You are in the Bible Belt with a much higher churched rate than the rest of the country. I really am not blaming young adults-i think you are comnenting on my “35 but not 25” post. I wrote that a long time ago. As I recall was just saying that 9/11 was a sea-change for people in terms of what they need and expec from the church- not that one is good and one is bad. Hi Timothy. Thank you for the link!